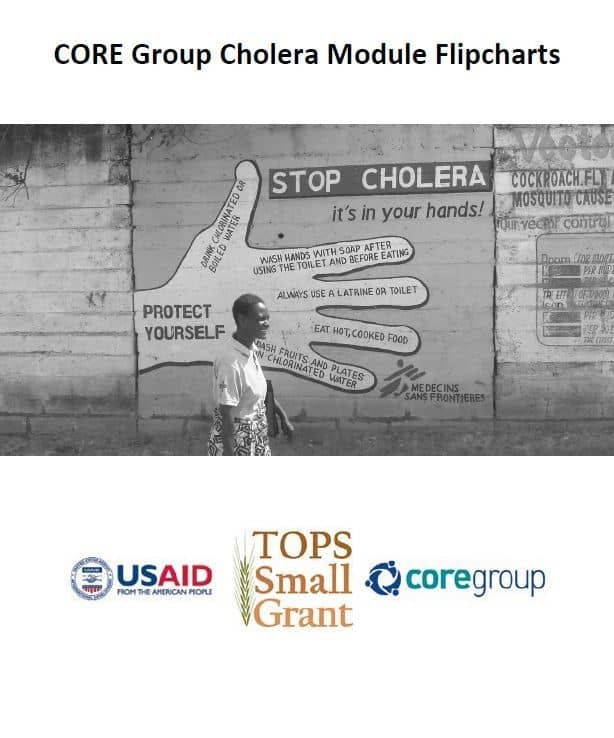 Through a TOPS Program Small Grant, CORE Group has developed a module to improve preparedness for and response of communities in countries at risk of a cholera epidemic. The module consists of four lesson plans with accompanying flipcharts, intended to be delivered through community health workers. The lessons target mothers and caregivers of children under age five, a group that is at particular risk of death if infected. The module shares information about symptoms and risks; what families can do to prevent infection; how, when, and where to seek care; and what actions to take in the aftermath of an outbreak.